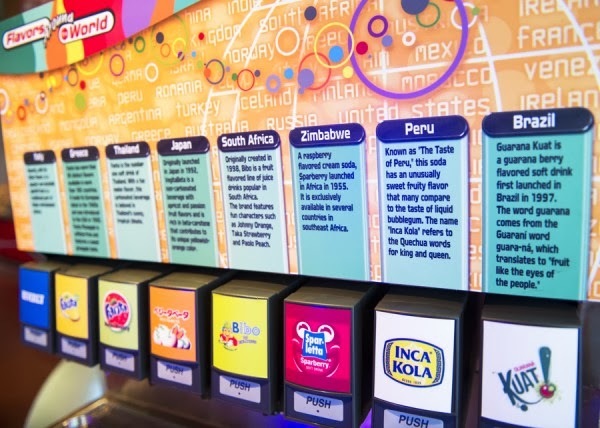 the club will offer seven new flavors of soda samples. Only one option from the previous selection will remain – Beverly, a common aperitif found in Italy. Fanta – Fanta debuted in Europe in the 1940s and was introduced in the U.S.A. in 1960s. It’s now available in more than 90 flavors. VegitaBeta – This Japanese beverage combines apricot and passion fruit flavors. Fanta (Melon Frosty) – This melon-flavored soda is number one in Thailand. Bibo – This fruit-flavored juice drink originates from South Africa. Sparberry – This raspberry cream-flavored soda has been a favorite in Africa since 1955. Guarana Kuat – This drink, flavored after the guarana berry, is popular in Brazil. Inca Kola – This Peruvian favorite offers a sweet, almost bubblegum-like taste.